At no point during Yo La Tengo’s 1995 single “Tom Courtenay” does the band sing or say the actor’s name. Currently appearing in the excellent British drama 45 Years alongside Oscar nominee Charlotte Rampling, Courtenay was once one of the stalwarts of 1960s U.K. cinema, appearing in films like The Loneliness Of The Long Distance Runner, Billy Liar, and Doctor Zhivago. In the latter two, he starred alongside Julie Christie, whose name YLT guitarist Ira Kaplan does sing in “Tom Courtenay.” The song begins with the line, “Julie Christie, the rumors are true,” and then proceeds to make reference to an unnamed “movie star” and “our hero.” But the “Mr. X” in question is described as having “a sordid life” and “long-suffering wife”—neither of which would seem to apply to Courtenay. So what is “Tom Courtenay” about—or, rather, who? Mainly it’s about the person singing it: Not Kaplan per se, but the character he’s playing in the song. Judging by the references to “the needle,” the lyrics are being sung by some junkie in a darkened room, obsessed with Billy Liar and actress Eleanor Bron’s performance in The Beatles movie Help! While the guitar feedback and the chorus of “ba ba ba”s billows outward, “Tom Courtenay” finds a potent mix of upbeat and bittersweet. It alludes to showbiz nostalgia while suggesting other, darker compulsions. Kaplan and his Yo La Tengo co-founder (and wife) Georgia Hubley have rarely recorded songs that are directly about anything in particular. Instead they evoke, stringing together phrases that suggest a situation or story without underlining anything. And they love popular culture, whether they’re listing America hits in “Lewis,” quoting The Simpsons in the title of “Let’s Save Tony Orlando’s House,” or spreading the gospel of Prince’s Hot Chicken Shack on multiple songs and albums. 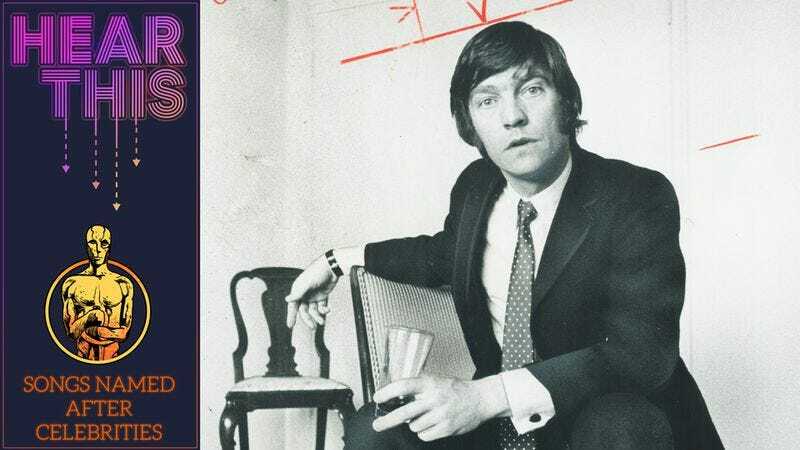 “Tom Courtenay” comes closer than most YLT songs to connecting its dots, with its recurring images of English thespians. But even here, the band only implies. As ever, Yo La Tengo expresses meaning in shades and haze.